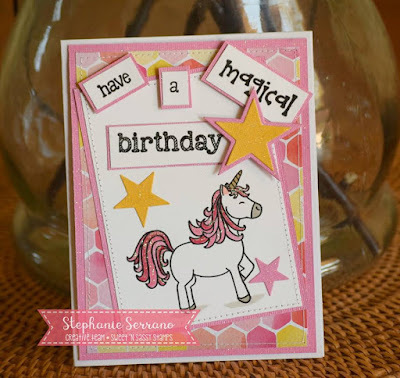 Hello friends, I have a sweet birthday card using Be Unique from Sweet 'n Sassy Stamps, I so love this stamp set! I colored with copics and added some sparkle to the mane and tail with stickles. The designer paper is from my scrap bin, the Yellow card stock is from Bazzil and it actually sparkles. 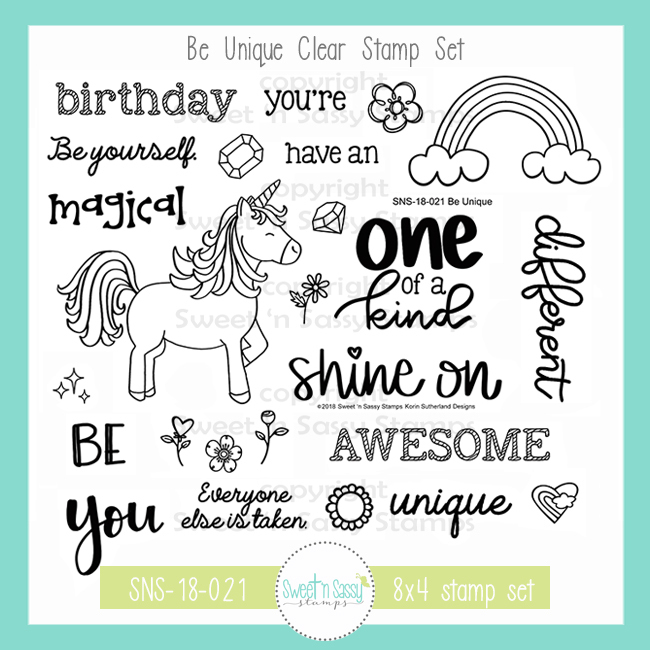 It has been such a great release this month for Sweet 'n Sassy Stamps and May is going to be even better! 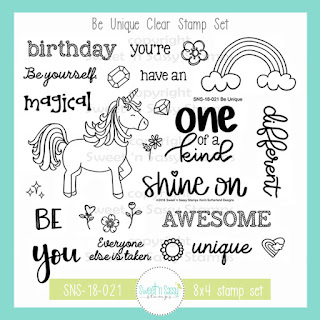 Happy Stamping everyone!